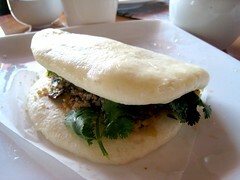 We had high expectations for Tao Tao Noodle Bar, especially once we read that they were serving Taiwanese breakfast. 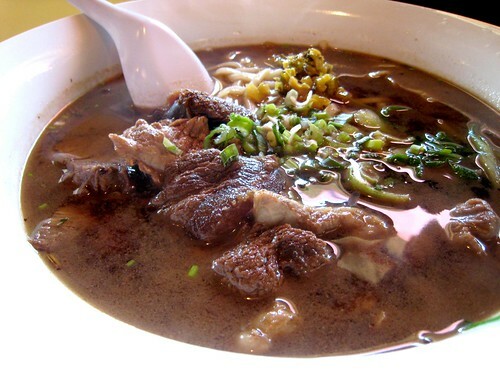 ES had visions of beef noodle soup; I had visions of egg pancakes, salty soy milk, and sesame bing; and even better, the place was located right near ES's place in Aurora. And so we drove over one morning, entering a corner restaurant that was once a gas station, with curious outside bathrooms to match. Alas, the menu proved to be the first setback. 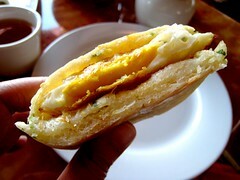 Neither sweet nor salty soy milk were on the menu, nor the egg pancakes I craved. 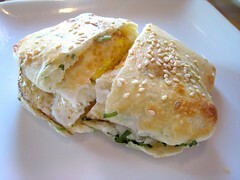 I settled instead for a sesame pocket with egg, thinking that it would be a close second, but it was one of those sandwiches that wasn't anything more than the sum of its parts: a plain seeded bread—which I think wanted to be a sao bing but was breadier and had less flavor—with a fried egg inside. No salt, no sauces, no seasoning; some scallions dotted the landscape, but raised no actual flags. Still, I allowed myself to have hope for the pork chop over rice, a classic Taiwanese dish that when done well can make even the most stoic expat nostalgic. 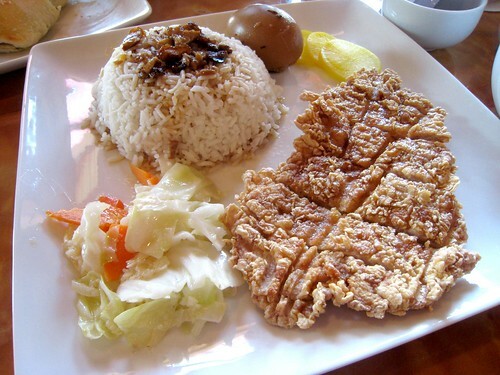 This version wasn't likely to make anyone recall fond memories of home, however—the braised meat spooned over the rice lacked flavor; the cabbage and soy sauce egg were forgettable, and the pork chop was a mere fried and breaded piece of meat, without the distinct flavor of five-spice that defines a Taiwanese-style preparation. It wasn't bad, but I just couldn't call it a proper pork chop over rice. By then I suspected nothing coming out of the kitchen would be that great—I'd been broken. So I wasn't surprised by the mediocre soup dumplings, which seemed like any you could buy frozen and then heat up in a steamer, or the gua bao, which suffered from skimpiness in the filling and a simple overall lack of oomph. The meal would have been a loss had ES's bowl of beef noodle soup not saved the day. Here was a rich, layered beef broth, with springy noodles, sharp pickled mustard greens, flavorful pieces of braised beef, and pieces of perfectly cooked bok choy. With each spoonful soothing my dissatisfied heart, I forgave Tao Tao Noodle Bar a little bit, for dangling the promise of Taiwanese food so close to home but for failing to deliver how I really wanted it. Oh Tao Tao, at least we'll always have the noodles…. fortunately there is a better place in town! 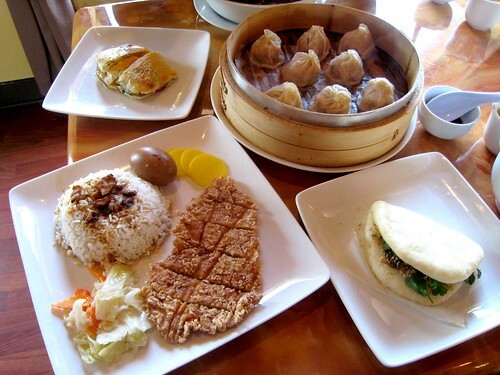 We were thinking of trying Tao Tao for the soup dumplings. If there's a better place, please tell! We had kind of the same experience with the soup dumplings at Tao Tao (http://glenderella.com/2012/04/16/soup-dumpling-tour-of-2012/) but had better luck on our "dumpling tour" at Lao Wang - greatly enjoying reading all of your archives, you are giving me way tooooo many ideas on places to eat in Fort Collins and Denver. Thank you!!!! Hi Glenda, I'm glad you're enjoying the blog! I love the potstickers at Lao Wang, could eat plates of them if I thought I could get away with it. 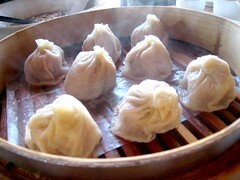 Tao Tao's xlb seem to have improved since I last went, but Lao Wang still has them beat.